Welcome to our stop on Elusion Blog Tour, Hosted by Rockstar Book Tours! Regan is determined to defend it. But the critics of Elusion come from surprising sources, including Josh, the handsome skeptic with his own personal stakes. As Regan investigates the claims, she discovers a disturbing web of secrets. She will soon have to choose between love and loyalty…a decision that will affect the lives of millions. Your cover is gorgeous! Did you have any say in the images or design? Thank you! Yes, we were extremely fortunate to be part of the cover image process. The first design we saw was of a girl in the field, sort of like what’s in the center now, only that was the whole cover. But we were hoping for something that captured the otherworldly beauty of Elusion. The publisher then came back to us with two very different cover versions to choose from, and we both knew the minute we saw what is now our cover image, that it was the one. So it was sort of love at first sight in revisions! How did they idea for Elusion come about? Are there any other books you can compare it to? We both were brainstorming ideas for books and started discussing the amount of time people spend with their electronic devices and whether or not it’s been a positive influence on our lives. It’s a hard question to answer, and it’s even more difficult to imagine society without our devices. That general idea turned into: What will we do to escape and “get away from it all” in the future, when technology is an even larger presence in our lives? If you could travel back in time where and how would you travel? Why? London, England in the late 1800’s, where we’d live in a big old mansion (think Downton Abbey), attend balls and take carriage rides, hang out with royalty (if we’re traveling back in time, we’re doing it in style) avoid Jack the Ripper and fangirl over Charles Dickens, Arthur Conan Doyle and H.G Wells. Oh-and of course, in honor of our heroine, Regan, we’d want to make a trip overseas (on a luxury passenger liner!) to America to meet the great Henry David Thoreau. And how would we get there? If we couldn’t lobby one of our characters to create a new “escape,” we’d have to borrow H.G. Wells time machine. What do you hope to see change and stay the same in the publishing industry or in your genre? Since we both began our Young Adult career writing contemporary, coming of age books, we’re glad to see those kind of books coming back into vogue. And we obviously love high concept, big stories that have something for everyone, so we hope those will continue to be popular as well. All time favorite books and movies? There are so many wonderful books that it’s really hard to choose. But as far as the classics, probably Jane Austin and the gentlemen mentioned above. Do you have any deleted scenes or excerpts you’ll be posting? What sights, smells and sounds will we be experiencing in Elusion? All we can say is, buckle up! Elusion is wild, like beauty on steroids. You’ll visit the most amazing places in the world: beaches, ice caves, mountains, prairies…even the universe – all in confectionary colors. Purple suns, pink snow, orange skies, tropical beaches with oversized flowers that smell like fruit and sand that looks like tie-dyed diamonds… We wish were there right now! Claudia Gabel was born in Roanoke, VA, raised in Binghamton, NY, and moved to Manhattan after studying abroad in London during her senior year in college. 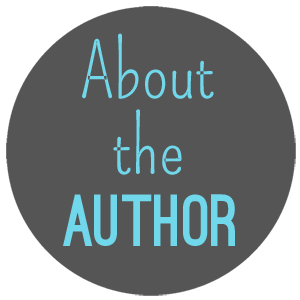 She received her Masters of Arts degree in English and American Literature from Hofstra University, and planned to pursue her doctorate, until a side-job as an editorial assistant at a large book publisher permanently redirected her career course. Claudia worked as an editor in the adult divisions of several major publishing houses, then made the move to children’s books, where she hoped to inspire, educate, and entertain young readers. 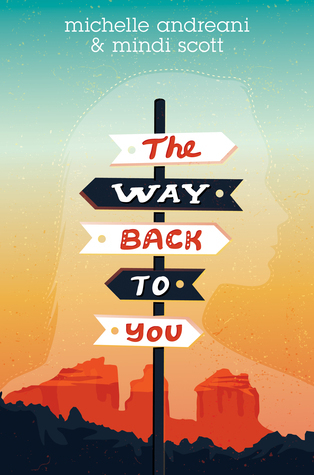 Along the way, she began writing novels of her own. Her first series, IN OR OUT, was based on her experiences as a freshman in high school. She wrote her mash-up novel, ROMEO & JULIET & VAMPIRES, for readers who were looking to indulge in a fun twist on William Shakespeare. 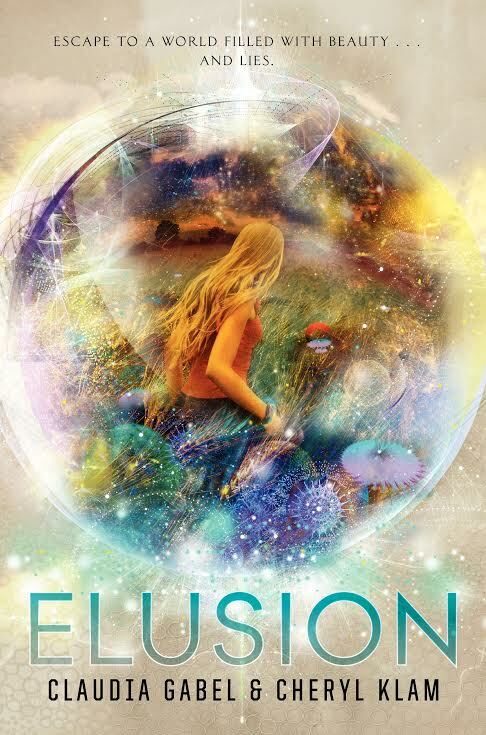 And her latest novel, ELUSION, co-written with fellow author Cheryl Klam, is a glimpse into the near-future, where a girl discovers that a popular alternate reality app is not exactly what it seems. Claudia lives in New York City with her husband Ben. 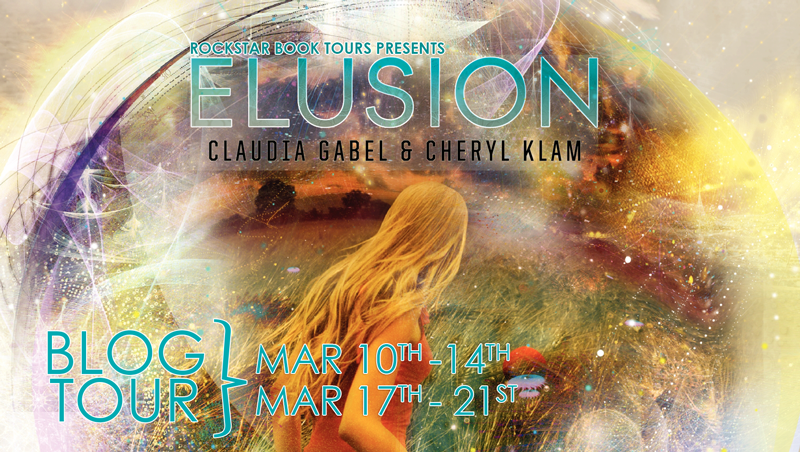 Cheryl Klam is the author (along with Claudia Gabel) of the young adult futuristic thriller, ELUSION. 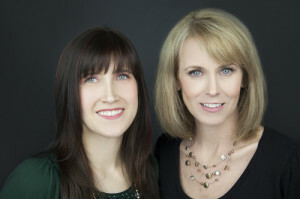 She is also the bestselling author of several other novels for adults and teens, including THE PRETTY ONE, which was nominated for an Isinglass Teen Read Award. Her work has been published in more than a dozen different languages. She grew up in the suburbs of Detroit, Michigan and graduated from the University of Michigan. When she was a teenager she starred in Sam Raimi’s first short horror movie, later appearing as a “fake shemp” in Raimi’s cult classic: THE EVIL DEAD.